Austrian glassmaker Riedel has brought a lawsuit against UK retailer Marks & Spencer for what it calls infringement of its trademark. Riedel’s owner, Tiroler Glashütte, has reportedly filed a lawsuit against M&S over the latter’s ‘Sommelier’ range of glasses which are a little too close to Riedel’s ‘Sommeliers’ range for its liking. As reported in The Sunday Times, Riedel complained to M&S in October last year but the retailer wrote back to deny any liability. In its lawsuit Riedel apparently alleges that M&S tried to claim ‘sommelier’ was a “generic term for glassware”. While this is true, it is possible that M&S was trying to argue that ‘sommelier’ is a generic term that might be applied to wine glasses rather than coming up with an alternative meaning for the term. M&S’s ‘Sommelier range covers glasses for reds, whites (including ‘refreshing’ whites), Champagne, Port, a tall mixer and cocktails. A set of four glasses costs around £29.50. Riedel’s ‘Sommeliers’ line meanwhile covers a much greater range with glasses suited for, as is Riedel’s calling card, styles of wine and regions ranging from Alsace to vintage Champagne, Hermitage, Burgundy, malt whisky and the Loire. A single stem can cost up to £125. A hearing is reportedly scheduled for Wednesday this week. 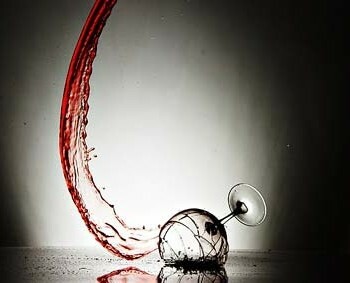 Both Riedel and M&S declined to comment on the on-going proceedings. A difficult one for Riedel to win, this – they don’t own the word ‘sommelier’ and it would appear that Riedel’s accurate definition of the word is irrelevant. I present wine tastings in Spain, I could call them ‘The Sommelier Tastings’ and, I’m sure, couldn’t be challenged by Riedel if I don’t use their extremely expensive glasses! Seems to me that M&S knew full well they would be capitalizing on Riedel’s reputation for distinctive stemware and thought, ‘why not’? M&S should find another way to sell their glasses…….